24.10.1925: first registered at Fleetwood. Post 1930: Converted to aux. motor. 12/11/2018: Page re-published. Removed FMHT watermark from image. 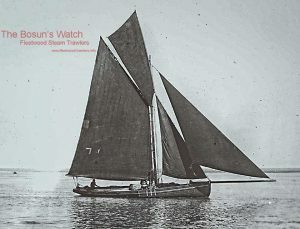 This entry was posted in Sailing Trawlers on November 12, 2018 by Fred Smith. Lost in the great storm of October 1895. This entry was posted in Lost Vessels, Sailing Trawlers on December 14, 2017 by Fred Smith. 3.9.1918: Sold to ?? Fleetwood. 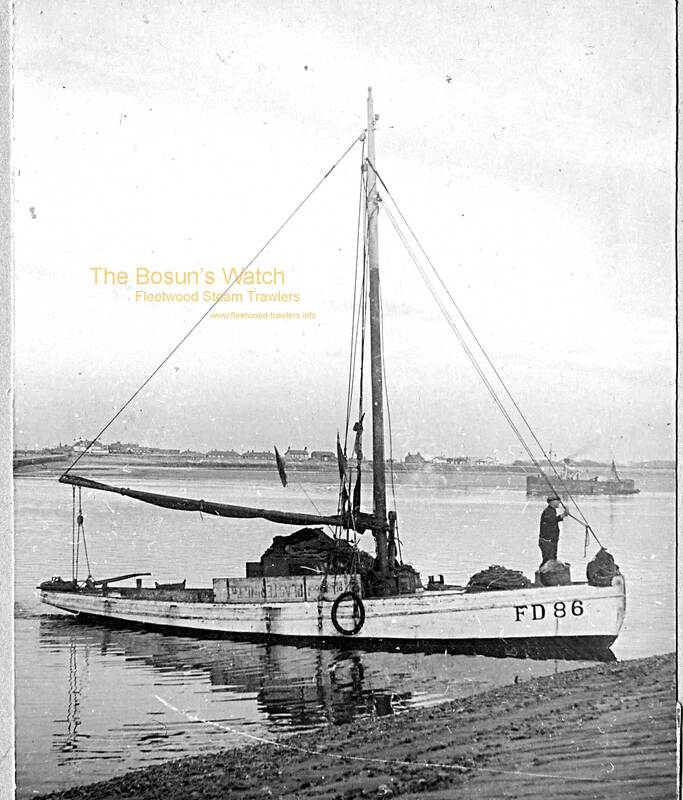 8.10.1925: Converted to auxiliary motor and re-registered. 12.11.1930 Transferred to Chester (CH37). Based at Great Meols, near Hoylake. This entry was posted in Sailing Trawlers on November 3, 2017 by Fred Smith. 1893-1898 – ‘283’ struck out and ‘284′ inserted). 1893: Liverpool registry (LL283) closed (no notation). 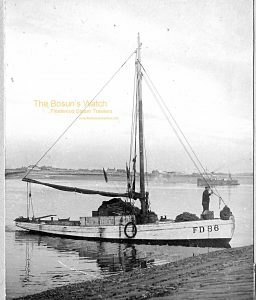 4.4.1893: Registered at Fleetwood (FD101). 10.4.1895: Sold to East Coast. 22.1.1900: Fleetwood registry closed. Registered at Sunderland. This entry was posted in Sailing Trawlers on October 11, 2017 by Fred Smith.